Phone calls convert better than clicks. But which ads are making your phone ring? Perhaps you’re running multiple internet ads and you want to determine which ads are pulling better. With our Call Tracking platform, we provide the tools to capture and analyze your call data in order to maximize your advertising spend. Whether you’re advertising via search, email or offline, we help you attribute which ads lead to phone calls to give you a better understanding of what is working the best! It is all part of our commitment to CompleteTrackabilitysm. Provision low-cost, unique trackable phone numbers (local & toll-free) for each of your campaigns. When a customer dials your number, they’re transferred to a phone number you designate. 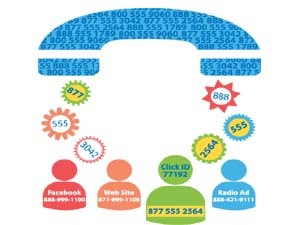 We provide real-time call analytics and reporting to immediately determine which campaigns are the most effective.